Baby monitors have long been providing peace of mind for parents with young children, and in recent years technology has advanced a great deal to provide even greater flexibility, range, and sound quality. The Philips Avent SCD 505 Baby Monitor is one of the latest digital monitors, which delivers crisp audio, great features, and reliable quality. Unlike a standard baby monitor, this one is also designed to help your baby sleep better thanks to its soothing lights and melodies. It also works up to a range of 330 metres, making it ideal for those with larger households and for parents who spend a lot of time out in the garden enjoying our British summer. In spite of the additional features and controls over those of a basic baby monitor, this is a plug-and-play solution which is ready to use straight out of the box without any complicated setup procedures. It uses DECT technology like many modern, high-end cordless phones to provide clear and reliable transmission and minimize interference from any other wireless devices in your household, such as mobile and cordless phones and other baby monitors. Thanks to its digital technology, the audio data transmitted is actually encrypted, so the only person who will be able to hear your baby is the person with the parent unit in hand. 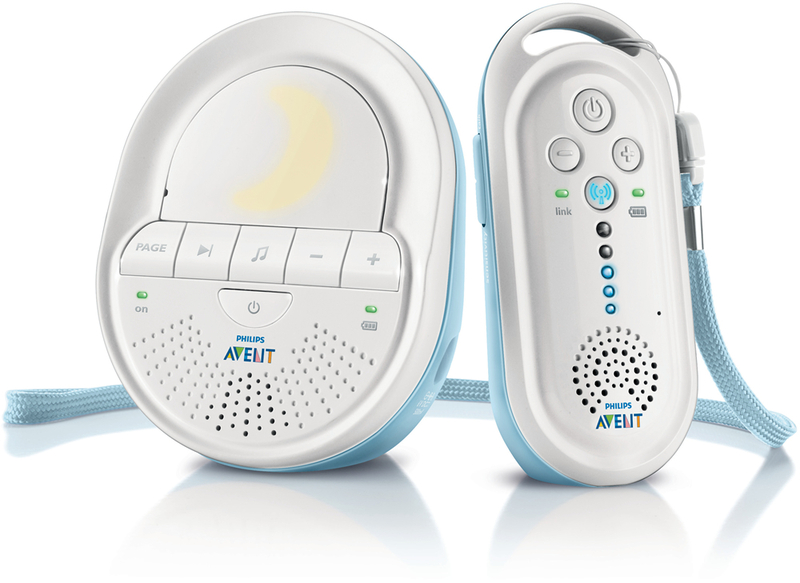 The parent unit is rechargeable and features a handy set of LED lights, so that you can see the level of noise in baby's room at just a glance - giving you peace and quiet as well as peace of mind. You can also control the night light and melodies on the baby unit remotely, and there is a two-way talk-back function so that you can calm your baby from another room if lightly disturbed. This entry was posted in Advice and tagged Philips, Baby Monitors on 07/07/2014 by Craig.